The London Wine Fair is launching a dedicated section just for Champagne at this year’s exhibition in May – and it’s being called Champagne Boulevard. News of the initiative for the UK’s biggest wine trade exhibition was announced at a briefing by the London Wine Fair (LWF) on Tuesday this week, although details of the additional element to the show were unearthed exclusively by db during an interview with LWF director Hannah Tovey the following day. The decision to launch the concept follows news that the Comité Champagne – which is the trade association representing the growers and producers of the appellation – will not be running an event at this year’s London Wine Fair, nor any major London-based tasting in 2019. Back in 2016, as db was first to report, the Comite Champagne decided to end its traditional approach to presenting Champagne to a UK trade audience with a single large-scale event for buyers, called the Annual Champagne Tasting, which, for more than 20 years, had been held in central London in March. However, following a backlash from the UK trade, the Champagne association trialled a new event in 2017 called The Official #Champagne Experience Day, which was held at a slightly later date (29 March), with enhanced content, and a novel, modern location – it was the first wine tasting to be held at design college Central Saint Martins in King’s Cross, London. Following this, in 2018, the format was changed again, and the Comité Champagne decided to partner with LWF organisers, Brintex, and hold a tasting within the London wine fair at Kensington Olympia. As db reported in January last year, the annual tasting had again been rebranded, named Champagne Live, and housed in two neighbouring rooms at Olympia on May 22 – the second day of the London fair. It also, for the first time, included a consumer-facing element, with a free-pour tasting for the public in the evening following the day-long event for the trade. Champagne Live also did away with the traditional format of individual brand tables, and instead featured themed tasting tables reflecting the key styles of Champagne. However, for 2019, as db was first to learn in January during a breakfast meeting in Reims with director general of the Comité Champagne, Vincent Perrin, the association has decided not to repeat Champagne Live at the London Wine Fair, nor hold an annual tasting in London. This, Perrin stressed, is no reflection of the declining importance of the UK as a market for Champagne – and budgets for promoting the product in the country have not been cut – but rather a move to rethink the strategy for presenting the product generically to key buyers and opinion formers in Britain, with, for 2019, a greater focus on education. 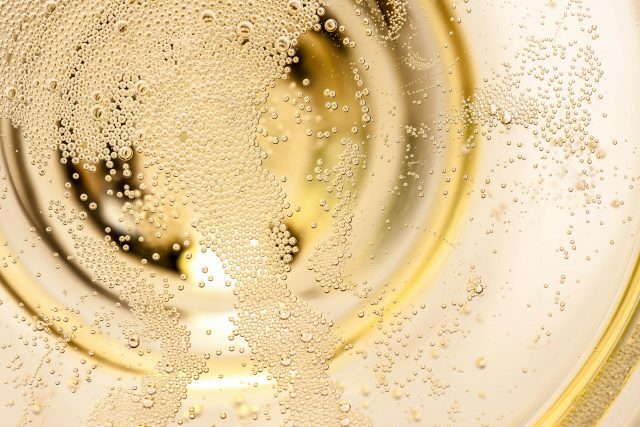 Indeed, it is believed by db that the Comité Champagne may be considering using some of its budget to take UK wine buyers to the region to enhance their appreciation of this fine French fizz, although this has not been confirmed. However, with no single annual trade tasting from the Comité Champagne planned for 2019, Tovey said that she had decided to install a dedicated event for the sparkling wine herself. “This year, as the Champagne Bureau decided not to repeat Champagne Live, we thought, let’s run it ourselves, so we have launched Champagne Boulevard, which is a London Wine Fair exercise,” she said. In contrast to Champagne Live, which was a one-day event where representatives for the brands were asked not to pour the wines – although many of them were present – Champagne Boulevard will run for the full three days of LWF and include stands for producers to showcase their cuvées. “It will give producers the opportunity to stand behind their pods and present their wines, so it is a more commercial exercise,” said Hannah, who also stressed that it was a “trade-only” tasting. As for the location of the Champagne event, Tovey told db that it would take place on the first floor ‘Gallery’ section of Olympia, and could be entered from within the fair “by application or invitation”. Looking back to Champagne Live, Tovey said that it had been a source of “learnings”. “Champagne Live was a nice idea, and it was the Champagne Bureau’s annual tasting, but we were responsible for delivering the audience, while they hosted it on the day,” she began. Further explaining her reasons for running a Champagne section within this year’s LWF, Tovey said that she had sensed that there was a demand from the UK trade for tasting of the fizz, who are “aware that there are currently no plans for an Annual Champagne Tasting”. “I have spoken to senior buyers, from top sommeliers to independent merchants, and they have all said that they need a space to compare and contrast Champagne – and so we have launched Champagne Boulevard in response to that need,” she concluded. The LWF, incorporating Champagne Boulevard, will take place from Monday 20 May to Wednesday 22 May at London Olympia. Click here for more details on the fair.